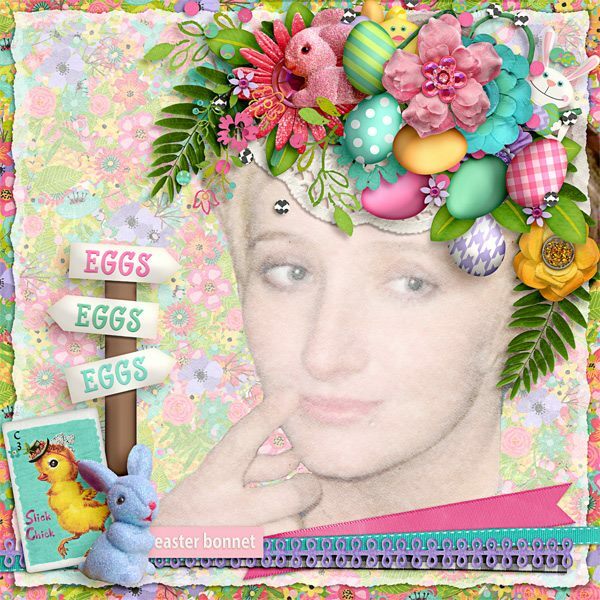 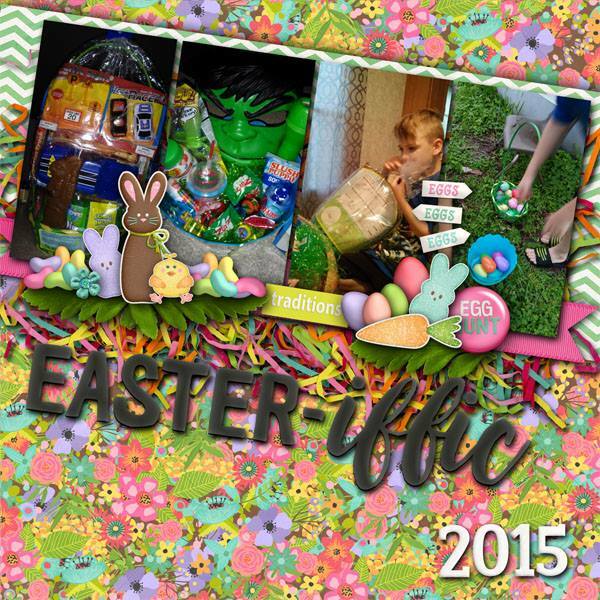 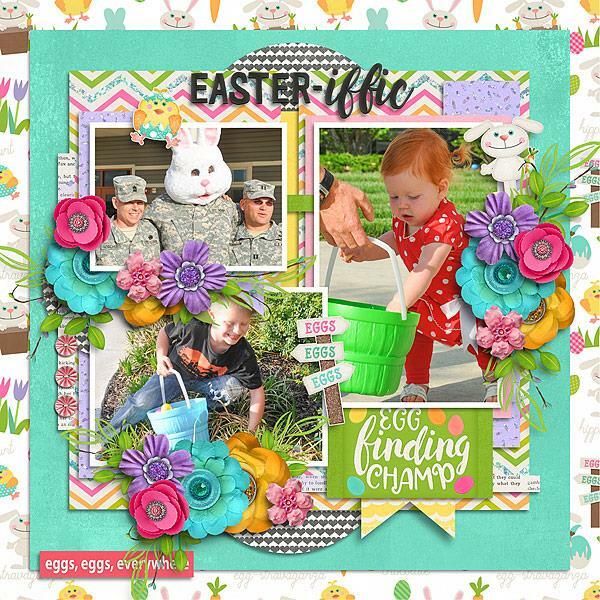 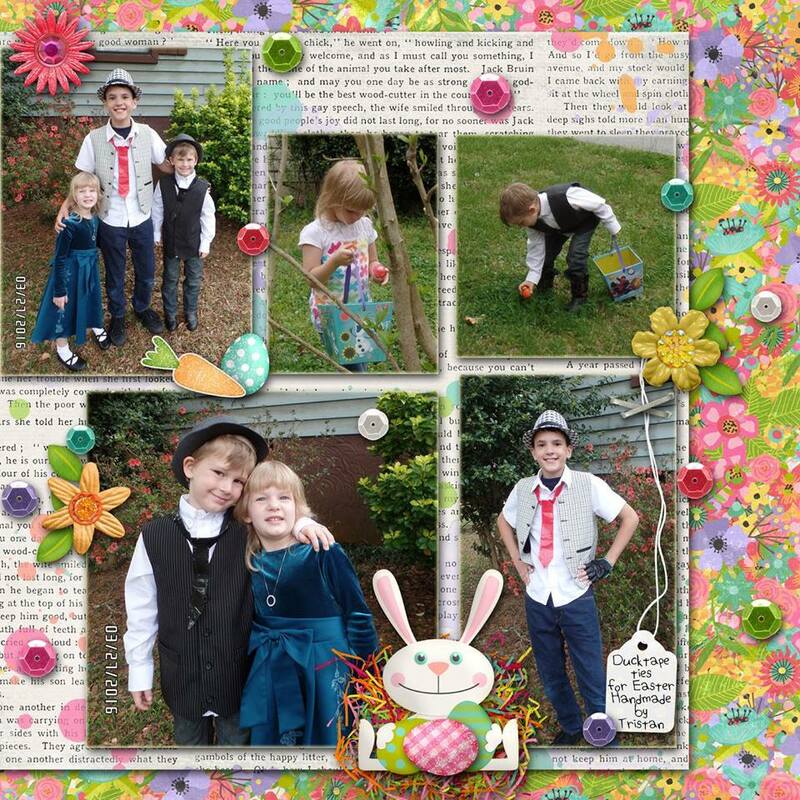 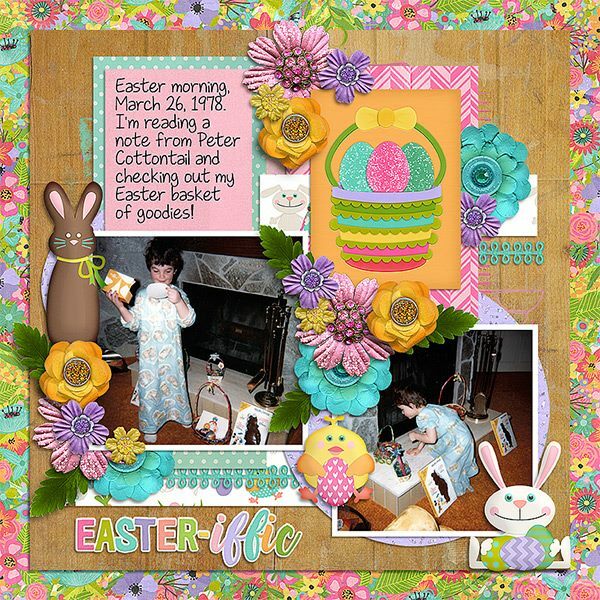 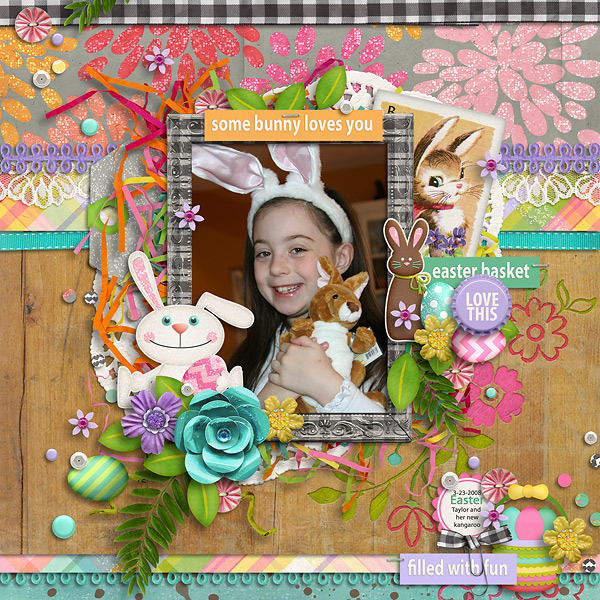 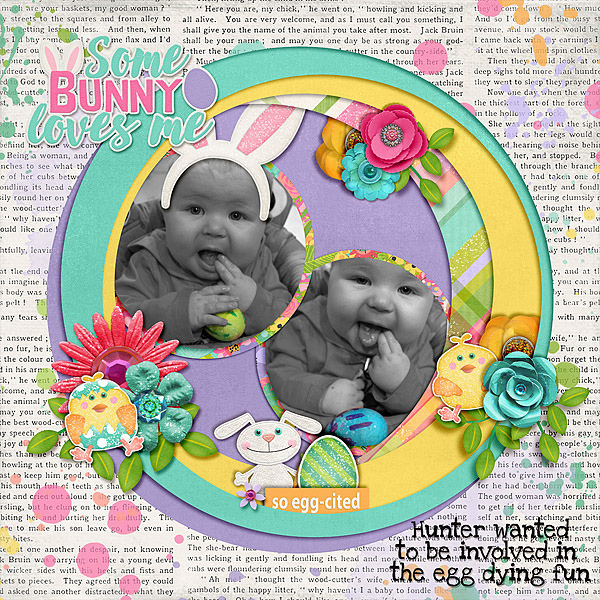 Easter Glitter is packed full with bunnies, chicks, etc of my own design. 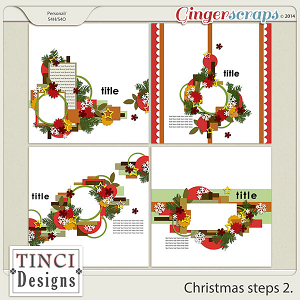 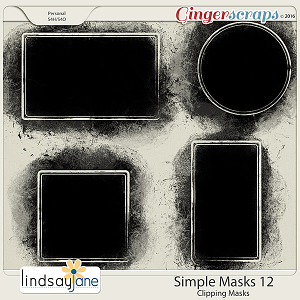 Most come in both a glitter version and a simple but dimensional version. 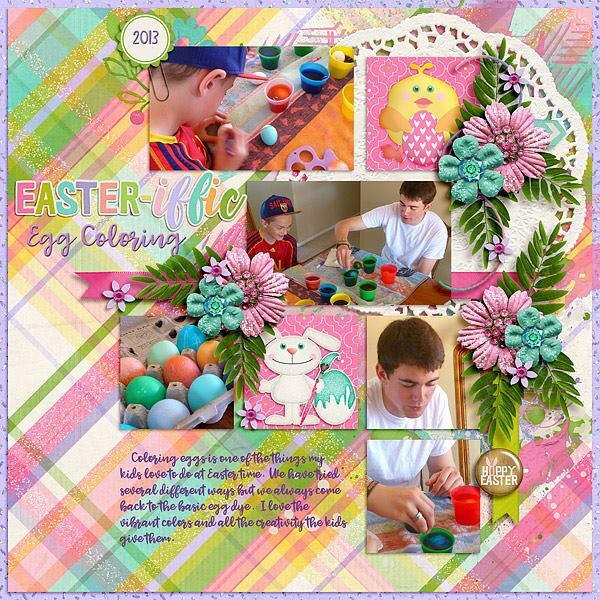 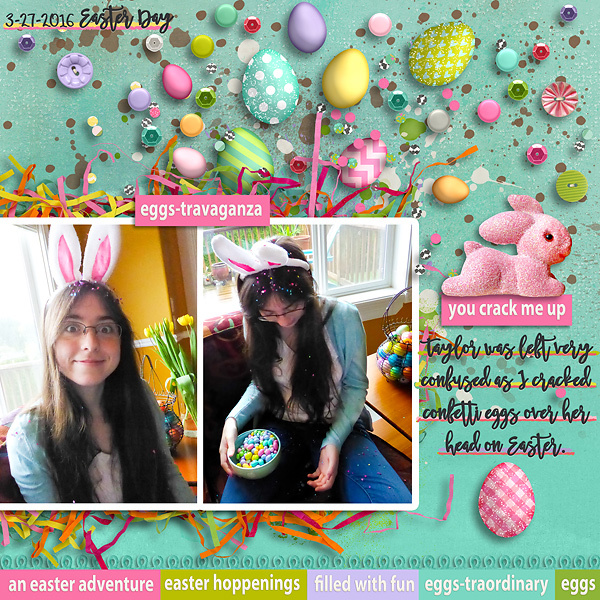 Colors are traditional Easter grounded with a soft grey. 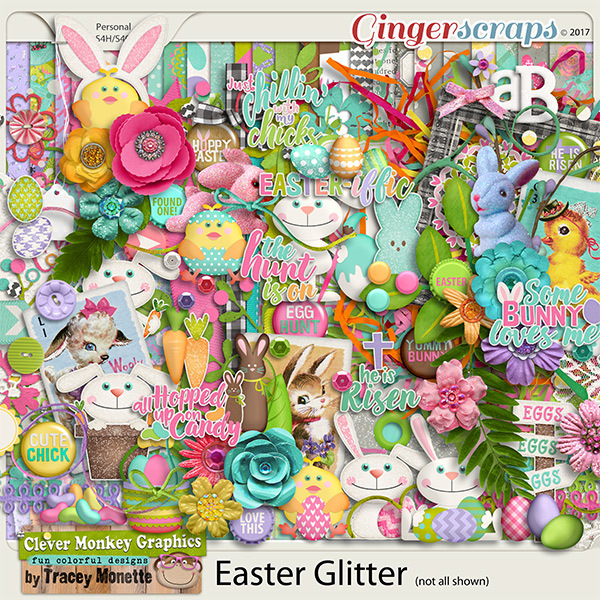 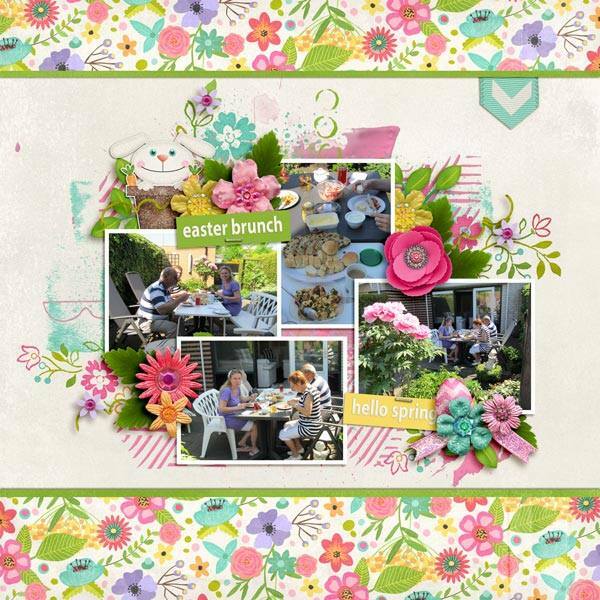 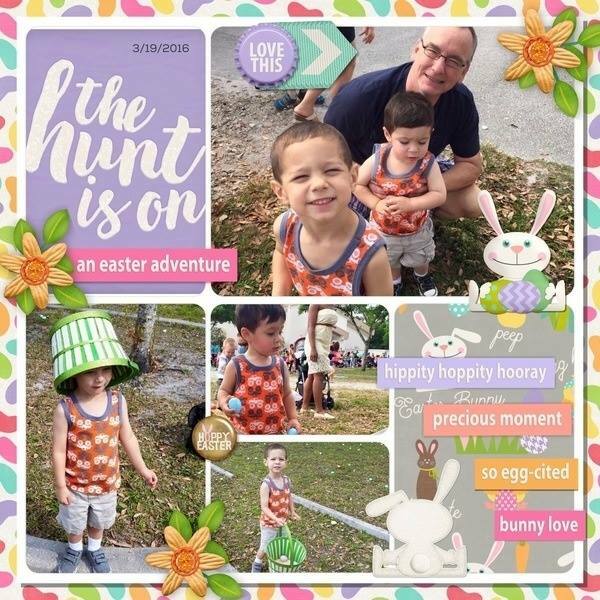 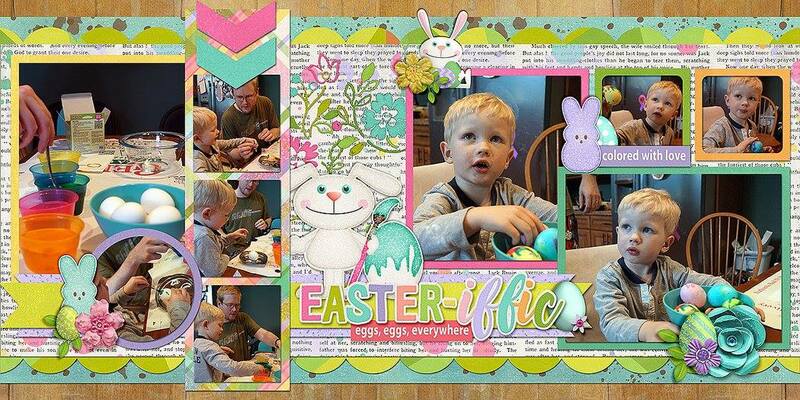 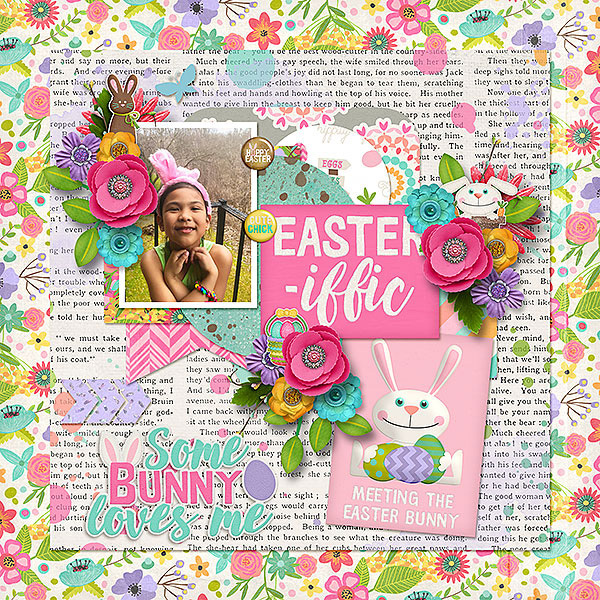 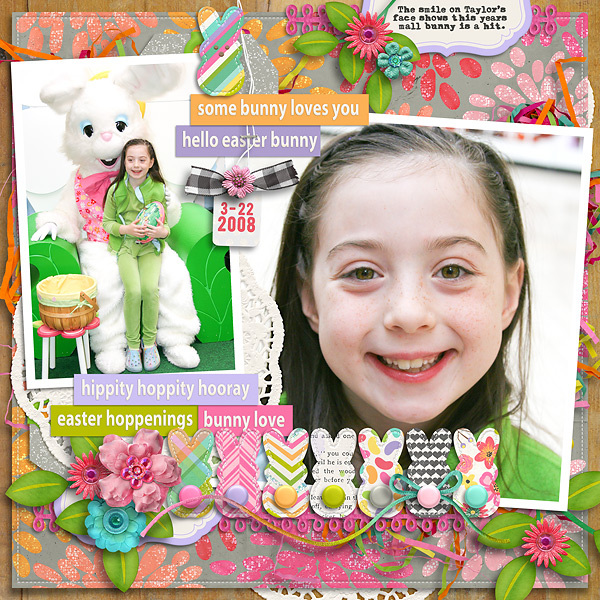 Here is what you will find in Easter Glitter: 3 versions of a bunny paper, 4 versions of a flower filled paper and 21 more beautiful 12x12 papers. 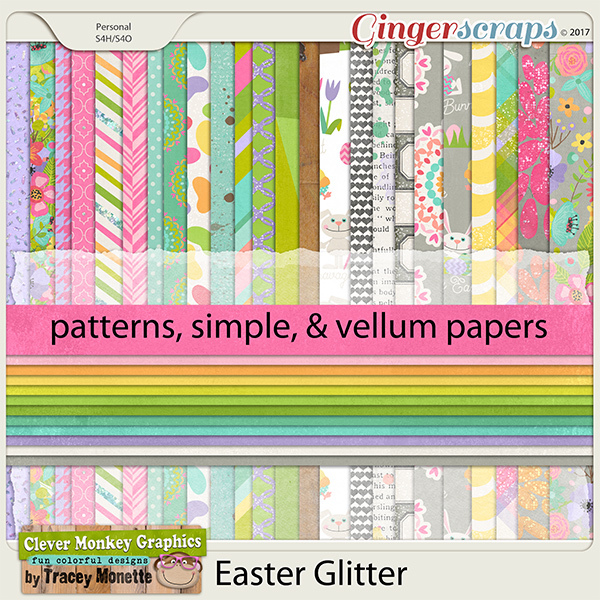 You will also find a great sheet of vellum with or without shadow - use as is, make more transluscent or opaque using your opacity slider or doubling an extra layer on top; full alpha; 36 easter eggs in various colorings and stylings, 2 glittery peeps, 2 glittery bunnies in pink and periwinkle; bunny crossing sign , 3 bunnies, 1 chocolate bunny, 1 bunny in pot, 1 easter basket, bunny ears, 2 chicks & 2 carrots all in both a glitter and dimensional version. 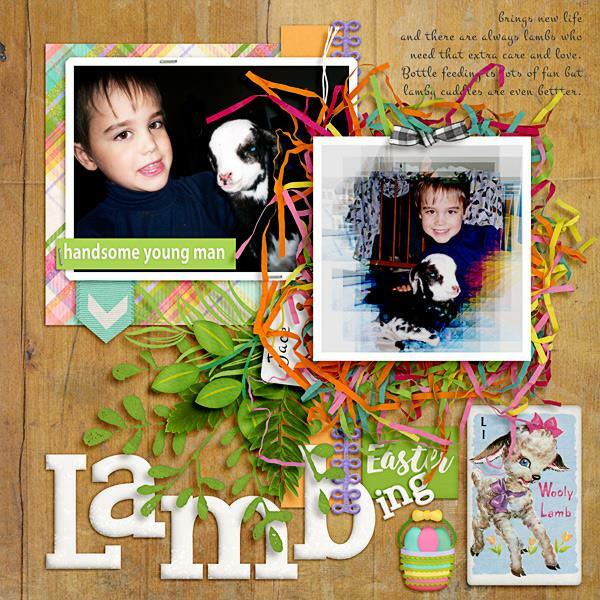 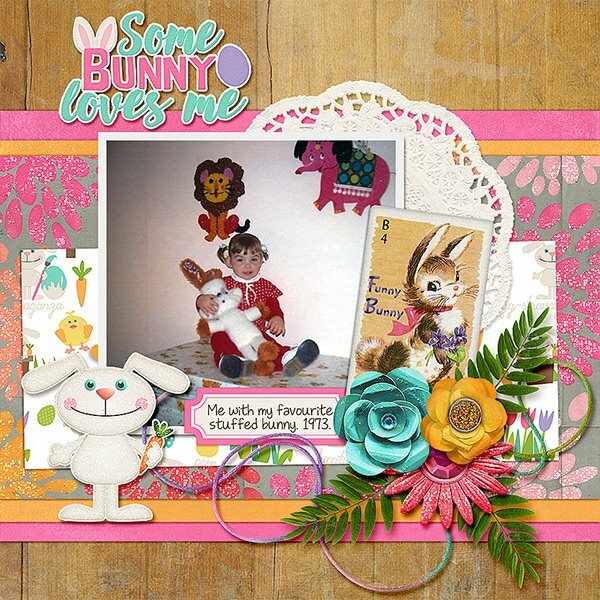 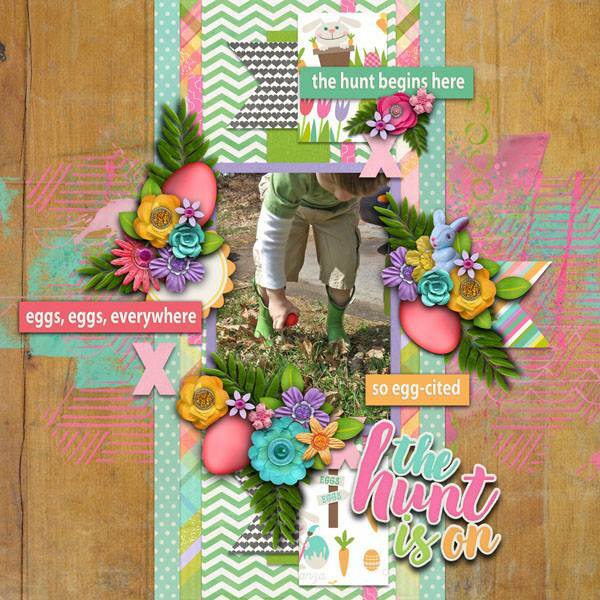 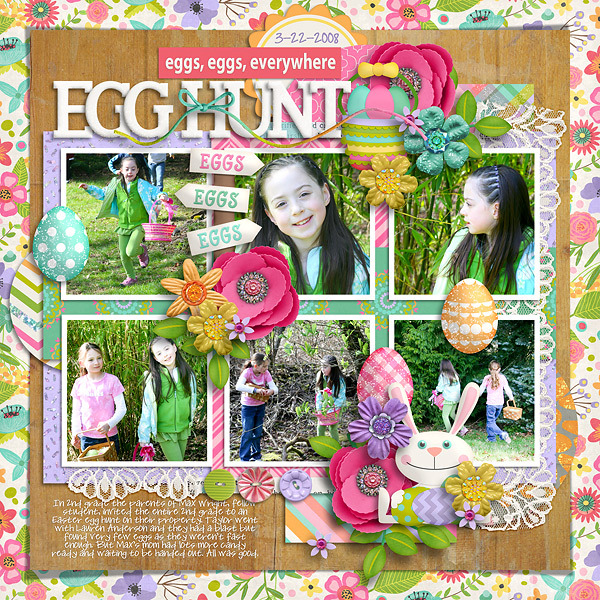 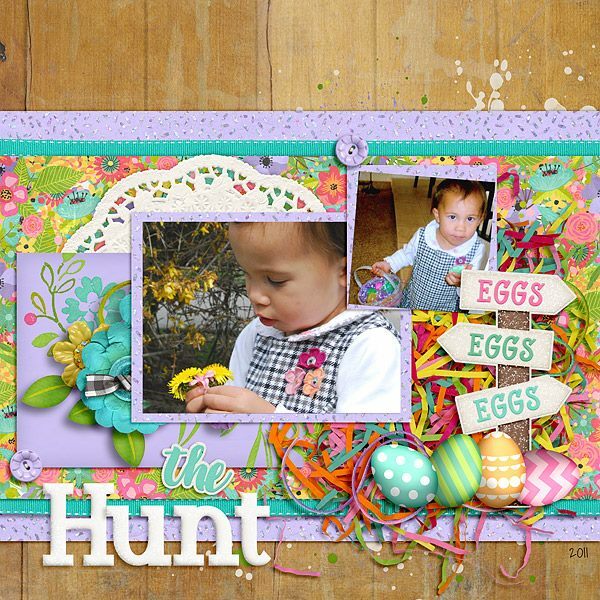 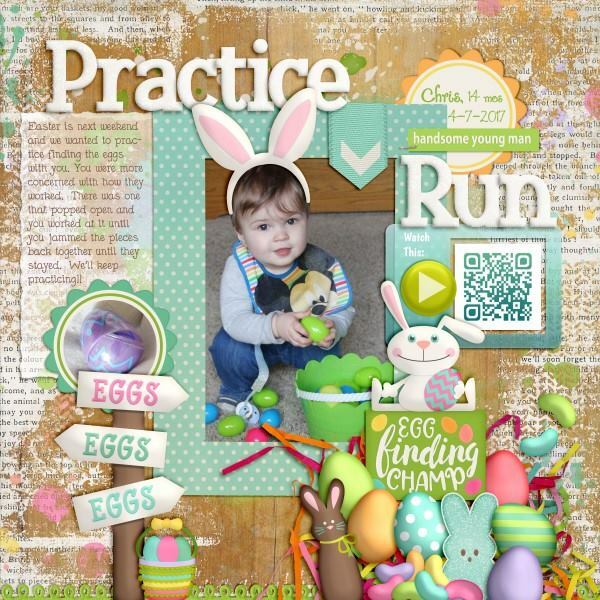 These elements come in only one version - bunny behind, bunny sitting with eggs, chick with egg, jelly beans in group and 3 separate ones; 5 flairs with wordart on them; easter grass; 1 frame; 2 arrows; 3 retro cards; 12 flowers, 4 greeneries, 2 colored twigs, and bud stem; 6 stamped images of nature; 3 bottlecap word arts; 2 confetti spills; doily; lace; hang tag; glitter tag; 7 large word arts in colored versions and in black; 9 brads; 5 ribbons and 2 ribbon bows; 3 buttons; 4 labels with some extra color versions; 4 pieces of loopy felt 3 paints; 6 sequins; 1 staple with shadow and holes; 2 strings and a string bow.